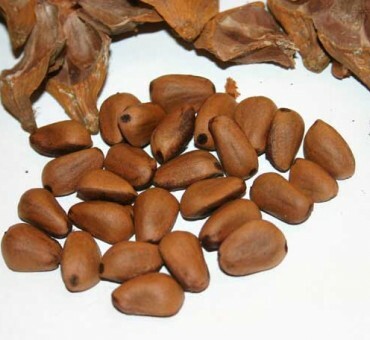 Korean pine is the best nut producing pine nut pine that grows in the north. Although thicker shelled than the pinyon, the large 4-6 inch cones produce hundreds of 3/4 inch size seeds. 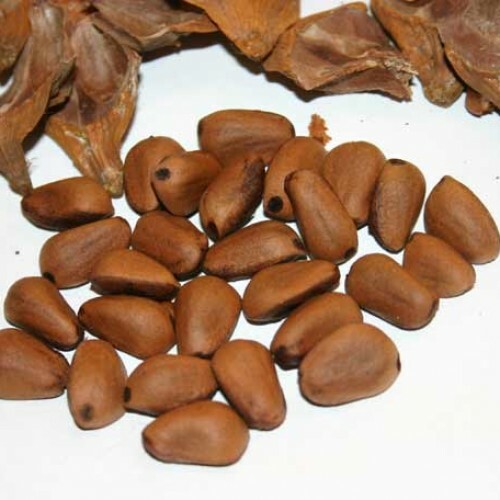 Rich in oil, the nuts are delicious eaten raw or roasted. And yes, they have that piney flavor identical to the ones you buy in the store. 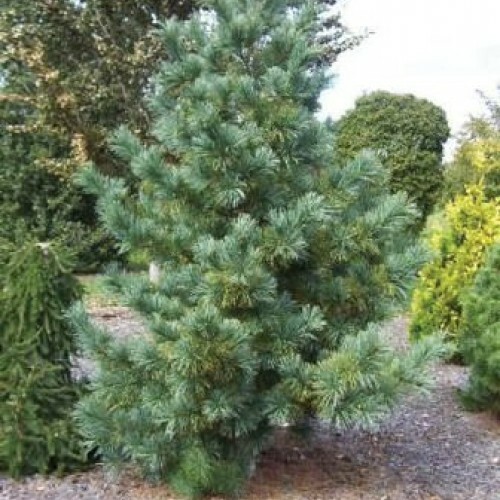 Compared to other species we have tried this tree produces earlier on smaller trees-some only 4-8 ft. tall. Our trees began fruiting at our farm in southern Michigan when they reached 10 ft. tall. In Korea, even the pollen is gathered for making cookies. Commercially pines are exported in China where the seeds are used in candies. This species can grow anywhere white pine can grow and more. It is more drought tolerant. A few growers report increase yields and growth when inoculating with soil from under pines. Probably not self fertile so plant two to increase pollen dispersal. Blank seeds are the result of lack of pollination with this species. Likes sandy acidic soil . Adaptable-avoid wet areas. Zone 3-5 ideal. Zone 6-8 OK.
Grows like white pine tree but slower. Easy to grow and fruit. Takes a good 5-8 years to fruit from seedling. Trees fruit when 8-12 ft tall.